CEO Services, armed with a bucket of cleaning products and the determination to succeed, was established in Exeter, NH. Locally owned and operated, over a decade has passed and the company has increased both its service area and staff, all of whom live in the local communities. We have expanded our service offerings to include carpet cleaning, exterior window services and landscaping. The well-being of our clients, as well as our planet has shown us the importance of offering “green cleaning” services as well. 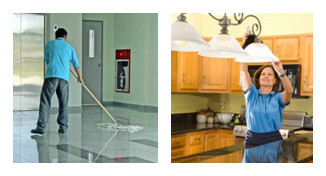 Our commercial and residential services focus on Cleaning, Errands and Organizing. Our goal is to save you time, energy and stress with “one stop shopping” while providing outstanding and detail oriented service. • Weekly, bi-monthly or monthly scheduling available. • Selling your home? We offer Pre-Sale Cleanings. • On site consultations offered. • Night and Weekend Cleaning. Let us take the clutter out of your life and show you how organizing your home or business can save you time, money and stress.